The 142nd running of the Kentucky Derby is this Saturday, May 7th, providing a welcome reprieve from the 24 hour presidential "horse race." 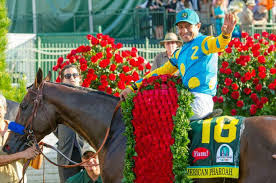 The first leg of horse racing's "Triple Crown," it is an occasion for celebrities, racing fans, social elite and even politicians to don a fancy hat, drink the traditional mint juleps and enjoy the country's premier equestrian event. "Horse race" was first used to describe close non-equine contests in the early 19th century and is now an accepted part of the political lexicon. "the President has not weighed in on the horse race on the Republican side, but the President has been pretty resolute in his belief that Mr. Trump will not be the next President." 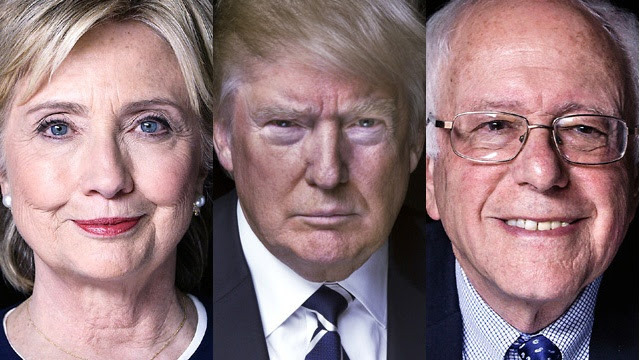 Kentucky's presidential horse race follows the real deal in just two weeks when Hillary Clinton and Bernie Sanders will square of in the May 17th democratic presidential primary. Current polling shows Hillary favored to take the larger share of Kentucky's 60 delegate votes. As for the Derby, the overwhelming favorite is a Nyquist (named after the NHL player) a 3-year-old colt from Kentucky. As of this morning, his odds stood at 3-1. Make syrup by boiling sugar & water together for 5 minutes. refrigerate overnight. Make one julep at a time, filling cup w/ crushed ice, adding 1 tbsp mint syrup & 2 ounces Old Forester Kentucky Whisky. Stir rapidly, garnish w/fresh mint. Post time: 6:34 p.m. ET. DemDaily: A Deal with the Devil?